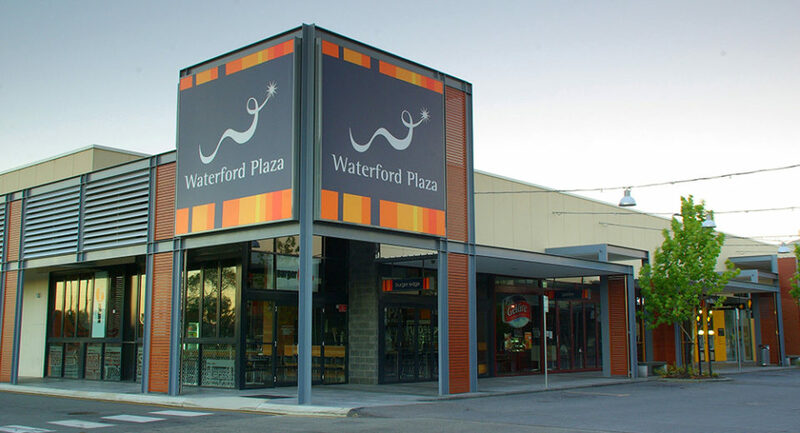 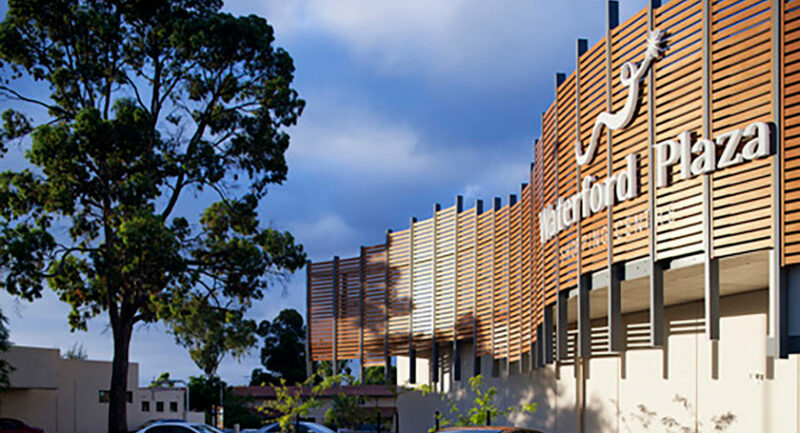 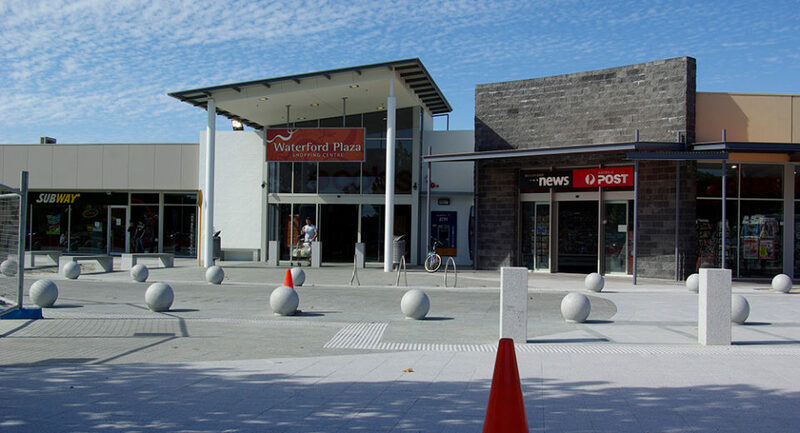 Waterford Plaza (Formerly known as Village Green Shopping Centre) is located in Karawara. 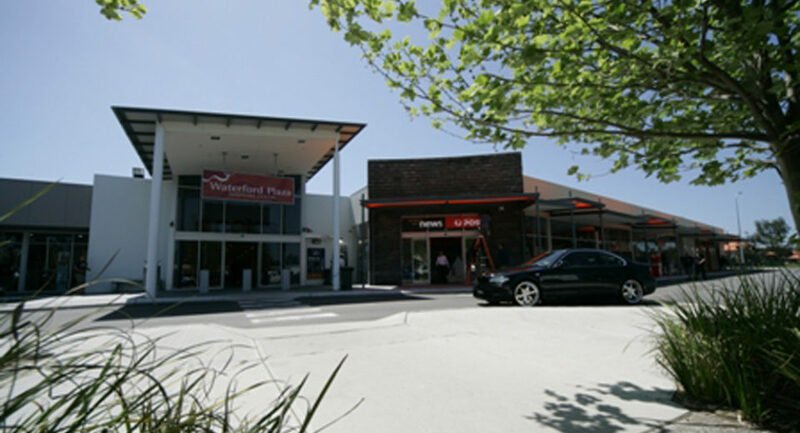 It began in 2004 with extensions to the existing supermarket, shopping malls and car parking. 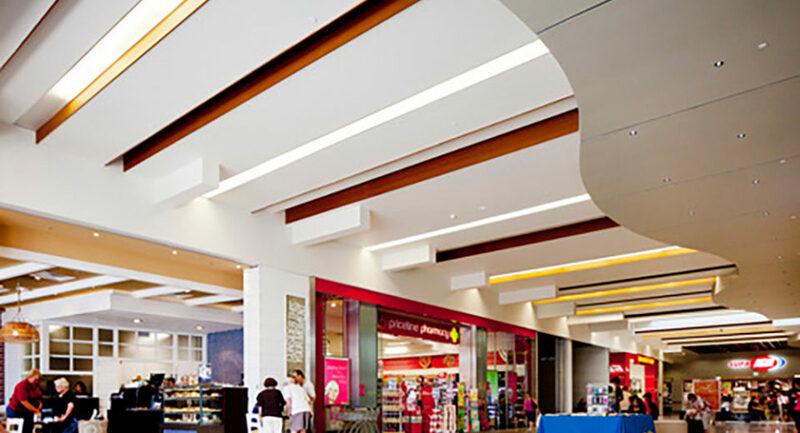 All work, especially civil needed to take into account 5 future stages so that redundant works could be minimised or avoided. 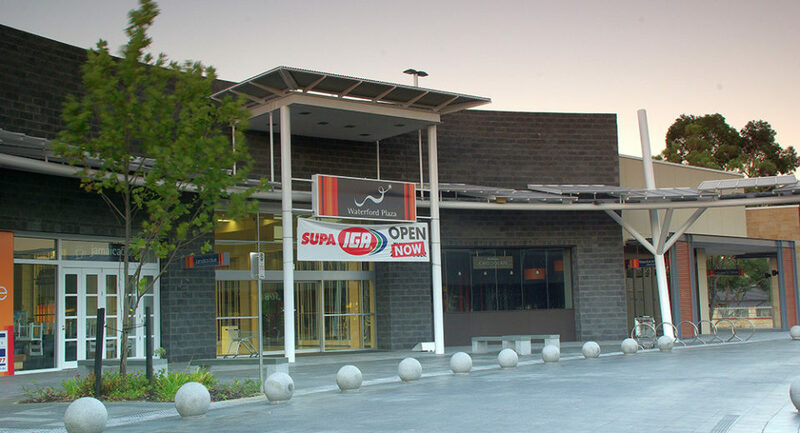 Building extensions are around 20,000 square metres. 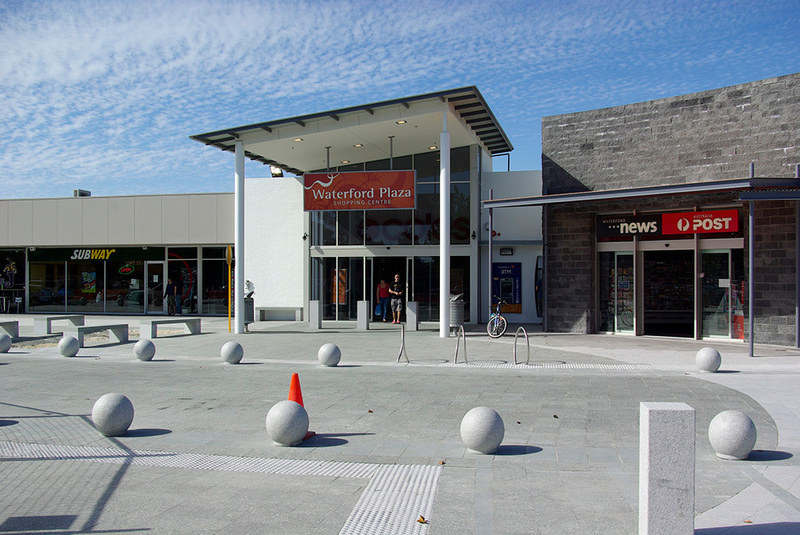 All works has been staged around an existing functioning shopping centre. 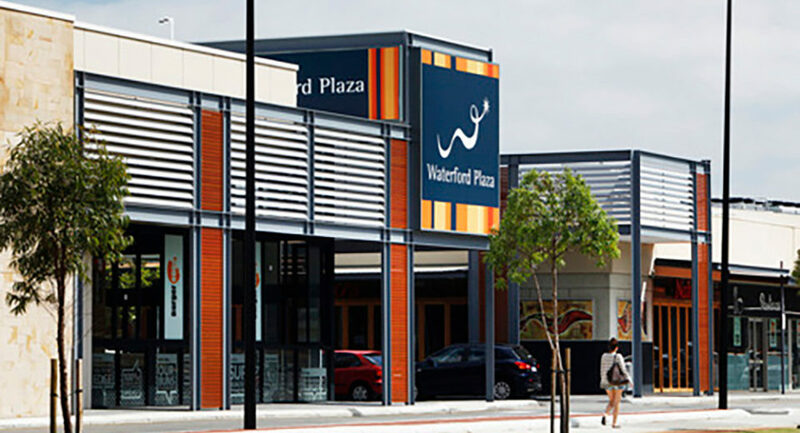 An upper deck carpark over the shopping centre below provide large spans as well as the adoption of a structural based water proofing system. 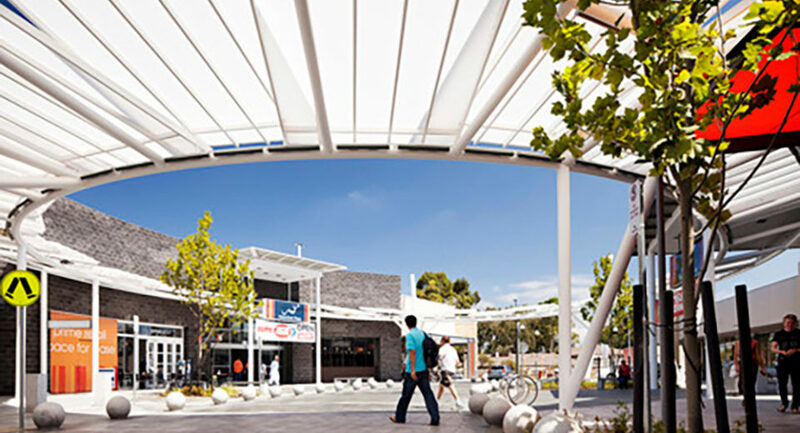 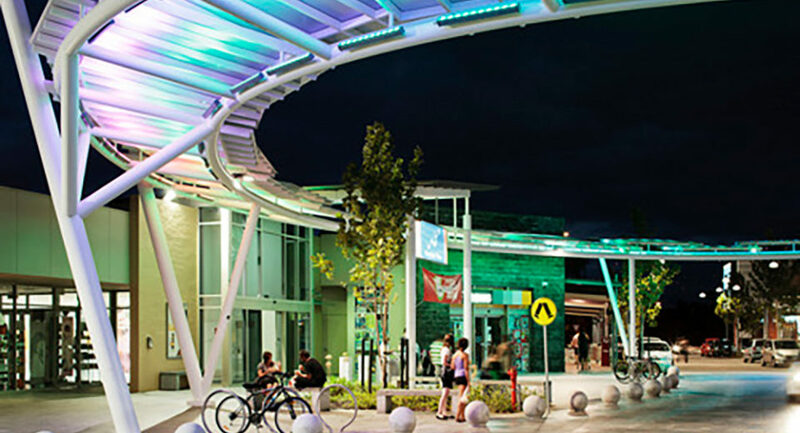 Between the existing centre and the new building was an open shared zone plaza featuring the “Halo” structure to provide shading during the day and a lighted feature at night.